Now here is an interesting piece of local historical interest to the Cincinnati Area. 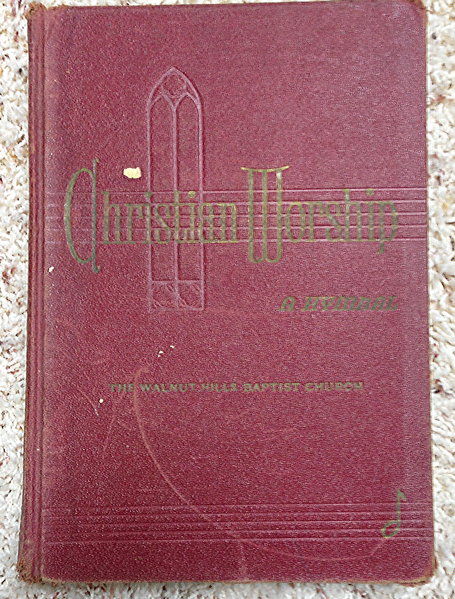 Christian Worship - A Hymnal, printed for The Walnut Hills Baptist Church. 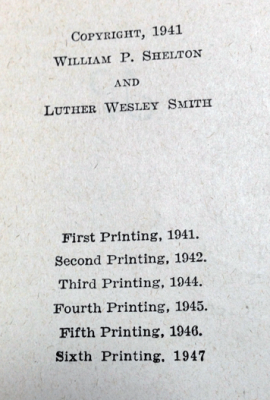 This would be a sixth printing from 1947, written by William P. Shelton and Luther Wesley Smith. 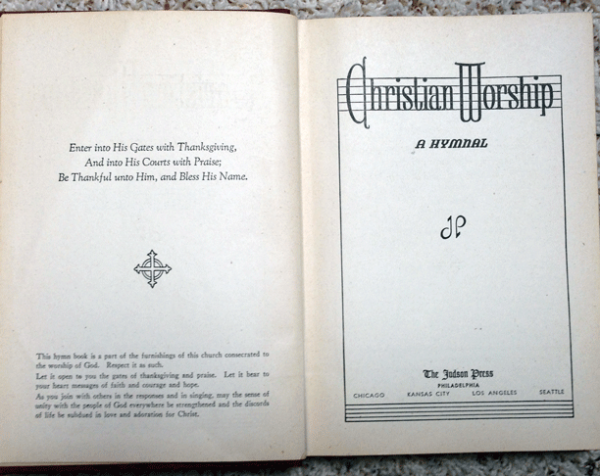 It was printed by The Judson Press, Philadelphia. This little book is well worn and has seen a lot of action. I can see it opened in the hands of a worshipper standing up with all the others in the congregation, lifting his voice in chorus and in concert with the organ. 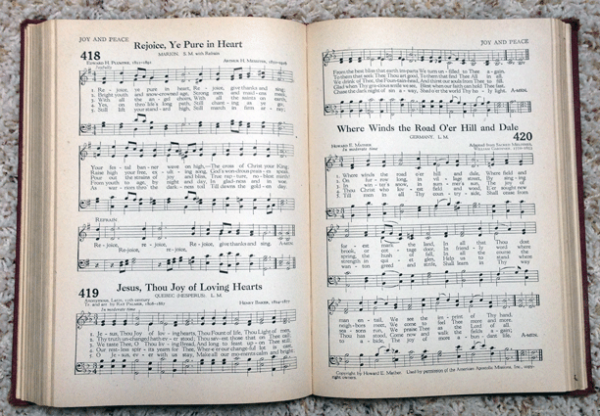 It's filled with music, with a couple of short sections containing responsive readings and invocations. 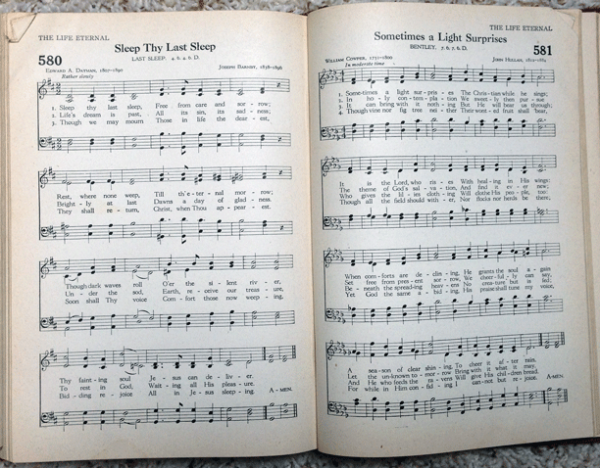 This book is well worn, many of the pages are dog-eared, it has colored with age and carries the dusty scent of old book. The inside back cover has four brown stains inside that look like the remnants of glue where something was once stuck to the inside back cover of the book. An old piece of history like this that has obviously seen much use would be a nostalgic gift to give to someone who was or is still a member of this church.